We’re getting financial this week and chatting with Junaid Subhan about securities law! Topics: material disclosure on social media; knowing your client in the fintech sector; and a “best interest” standard for registrants. At the time of this recording, Junaid Subhan was an Associate at the Toronto offices of Stikeman Elliott LLP and was called to the bars of Ontario and New York. He practises principally in the areas of securities law, corporate/commercial law and mergers and acquisitions and is a member of the firm’s Securities, Financial Products & Services and Knowledge Management groups. Junaid advises on corporate and securities law matters, including corporate governance and securities regulatory compliance for a wide range of market participants. 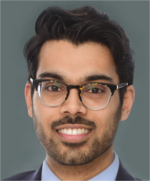 In his spare time Junaid serves as the Vice-Chair of the Canadian Muslim Lawyers Association and sits on the Young Alumni Board at McGill University’s Faculty of Law. Junaid was as recently honoured as the “Young Lawyer of the Year 2016” by the Federation of Asian Canadian Lawyers.